I made it through my first week on Medifast. For those who don't know what that is, it's a diet meal plan where you order food from the company. You can have 5 of their meals a day (shakes, bars, puddings, a huge variety of items), and then one of your own, which is a Lean and Green (protein and a veggie). It comes out to around 1000 calories a day. Low, I know. They don't encourage much exercise, especially in the beginning, while you're in the fat burning stage. But there is no way I'm giving that up, I live for my exercise! So I've been working with my coach on how to balance it. I read another runner's story where she had a great weight loss, while still training for and running races. She would just add in an extra meal, extra protein, whatever she needed. And she had great success. So, that's what it is. The first 5 days were hell. It was so hard! 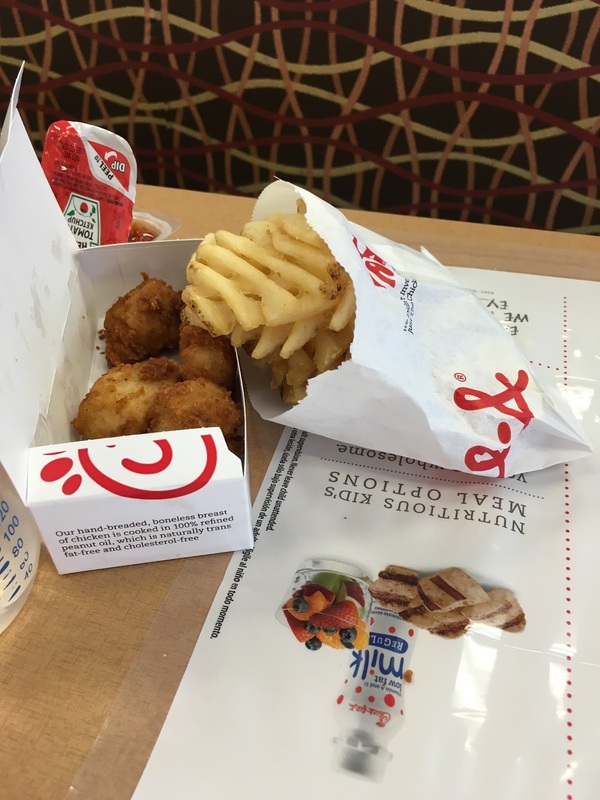 I took the girl I nanny for, to Chic Fil A, my favorite place ever. It was SO hard throwing away her leftovers, and just sipping on my diet lemonade! But I did it! Then through out the week other temptations would come up, especially my craving for ice cream. But I resisted each time. Every time I want to 'cheat', I just imagine what I'll look like thin, and without this extra weight. Seeing that picture in my mind keeps me going! And... it was all worth it! This morning I weighed and I lost 6 lbs this week! I can say, it has gotten so much easier the past couple days too. I know 'diets' aren't for everyone. In fact, I used to be the one who would say diets are crap, you'll just gain back the weight, just exercise and eat healthy! So, I tried that. And...you see where it got me. For now, I'm just using this as a boost, something to get me going. Now a funny story. 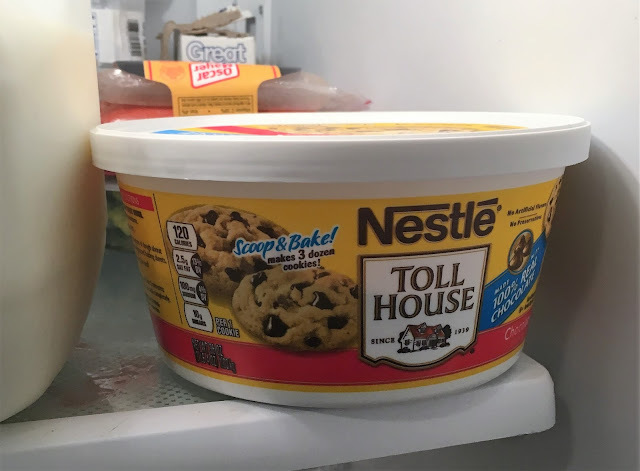 This cookie dough is in the fridge of the 4 year old girl I nanny. I asked her how her cookies were. She said "oh, that's not cookies." I said "really? What is it then?" She said "that's a tub of spinach. My mom said it was spinach, so I believe her." I seriously had to leave the room so she wouldn't see me laughing. That's one way to keep your kid out of your food! On to week 2. I'm feeling good and feeling strong! I'm going to do this! So excited for you seeing such a big loss in that first week. That dedication paid off! Good for you! Six pounds is tremendous progress! I've always found that first week to be the hardest on any plan. That is hilarious about the cookie dough! I can remember just wanting to find a snack I could have all by myself without having to share. (Sounds greedy I know.) So I knew radishes would be a safe choice. My daughter wanted to try one. I told her that she probably wouldn't like them because they tend to be hot. She took a bite and said "Theyre spicy and yummy!" Then she took the whole bag. Sigh. So much for finding a "safe snack." LOL. Thanks April! That's so funny your daughter took your radishes! I don't think I have ever tried a radish, and I'm okay with that! Wow 6 lbs is huge! Congratulations! Hope it gets you to where you want to be! My kids, well the twins would not fall for the spinach story! Haha! However, I did start drinking sparkling water so my kids wouldn't drink my drink as the back wash is sooo gross even from my own kids! Thank you Jess! Lol! I agree, backwash from anyone, no matter who, is gross!! LOL Smart mom telling her daughter that:) On that funny note, one of my sisters when her kids were young she would take a piece of candy take a taste and then spit it out and say yuck. So here kids would do the same thing, it took them until they were 5-6 before they started to undo the mind game that candy was yucky, but on the plus side even though they are 11&12 now they still don't have much of a sweet tooth! I am also only eating around 1000 calories a day, and it is super hard. I say that pretty much feeling like I am starving right now. But it's been working, and while I plan to increase the calories as soon as I am able to workout a little harder, for now it's miserable but I need to do it. I think you're doing it a bit more smart than me. I am just drinking a 100 calorie shake for breakfast, and 200 calorie shake for lunch, then I have pretty much anything I want for dinner I just try to keep it around 700 calories, it has been more helpful to starve all day but feel full at night. Weird I know, but whatever works right! Good luck to us both!! !